AgameR Fireworks mod adds two types of fireworks to the game. The first firework will explode with colored rain of particles, and the second firework will explode with beautiful small fountain on the ground. The new version contains more types of fireworks. By installing it, you will receive great entertainment for the night. Some fireworks can give damage, be careful. You can download the latest version from the link below. Fixed a bug with textures. 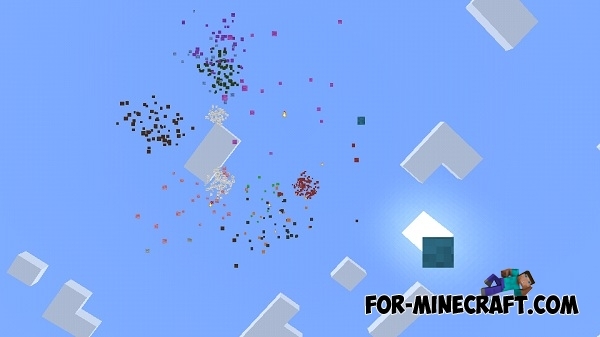 Added new fireworks that combines two effects. To launch the fireworks, just take it in your hand and tap to any place. In that place there will be some redstone energy, you just have to wait and begin an incredible sight! Especially great to launch the fireworks at night or at sunset on the background of the grand buildings. Dr. Cyano's Wonderful Wands mod for Minecraft PE 0.10.5The mod adds a magic wand, as well as magical robe with unique properties. 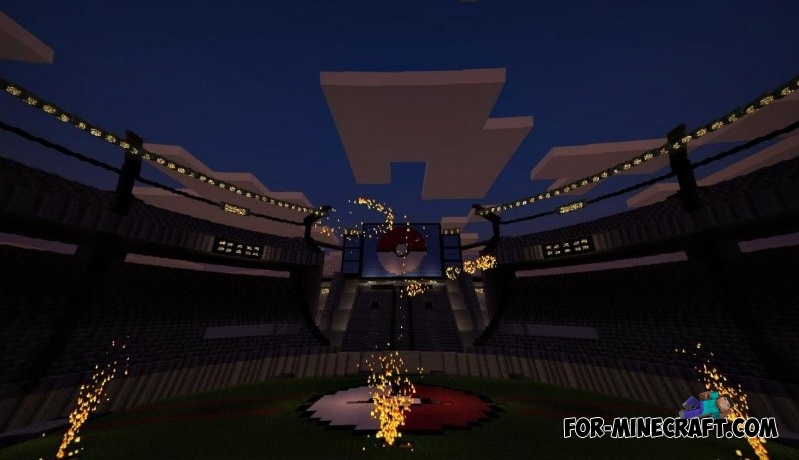 Firework v2 mod for Minecraft Pocket Edition 0.10.5Stunning mod that adds a whole bunch of very different fireworks! 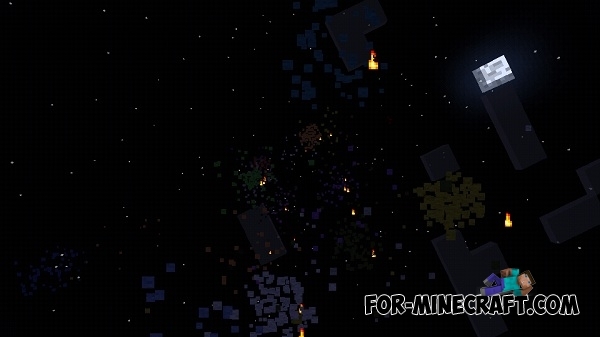 New fireworks mod (12 types)Mod adds a bright, colorful fireworks, with all kinds of explosive effects. True lovers of noise, colored sparks and fireworks "new fireworks" are sure to enjoy. 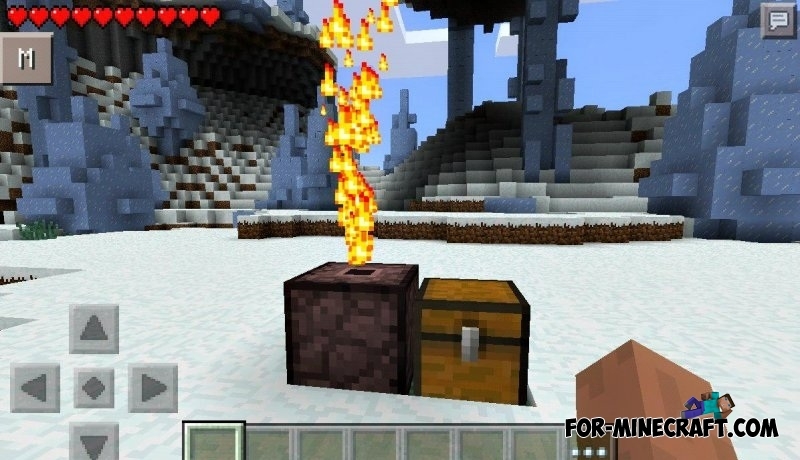 God mode for Minecraft PE 0.10.4God Mode for Minecraft PE 0.10.4 - because of this mode you have in the game will be available cool new features. Mod adds to the game a special menu that will provide for you and himself god mode. 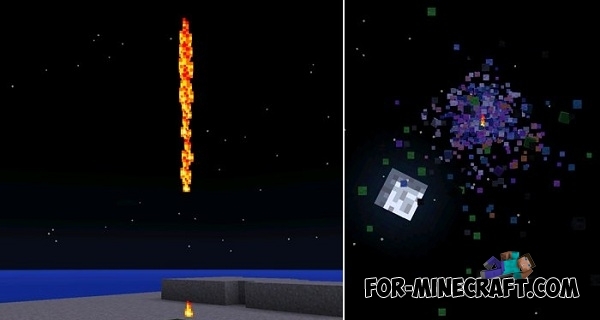 They are not fireworks in minecraft 0.13.1!